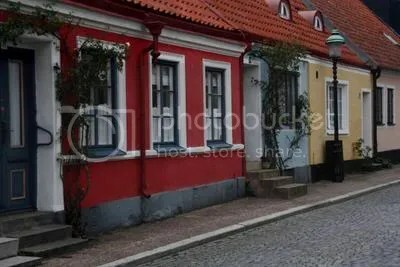 There is a little town called Ystad in the very south of Sweden right on the Baltic sea. It is best known for its most prominent (and fictitious) police officer, Kurt Wallander. He is the agent in Henning Mankell‘s crime stories that are all placed in Ystad or somewhere around here. A lot of hotel rooms and vacation homes are equipped with maps and brochures that point out all places that play a role in the movies. You can go visit Wallander’s house in the Mariagatan, the train station that serves as his office building. 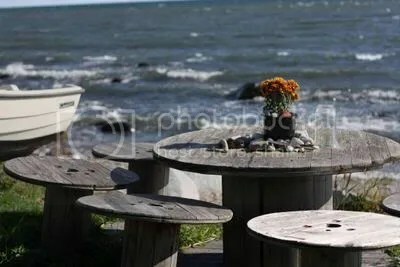 Or drink coffee in the “Hotell Continental” where Wallander takes his coffee, or even go to the beaches in the “Hagestad Naturreservat” east of Ystad where Wallander retreats to to think about his current cases. But even if everything seems to be about Swedish movies, and especially Henning Mankell’s crime stories, this region, called southern Skane, has so much more to offer. Coffee is indeed a pretty serious thing here—not only is there a cafe in almost every other house in the town but it is also very good, very strong, and very tasty. 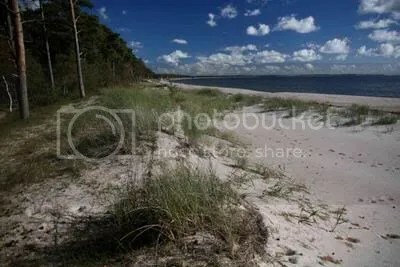 Sweden’s most beautiful beaches (voted for by some Swedish magazine in 2009) along the Baltic sea attract thousands of visitors over the summer. In the fall, they are deserted and are an inviting place to take a walk. 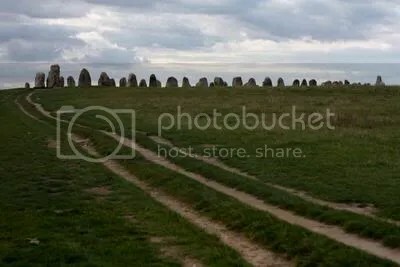 An important prehistoric site, alnes stener, (which translates to something like ale’s stones) is just a few miles along the coast east of Ystad. built by the Vikings some 1000-1500 years ago it is a bunch of big stones erected in the shape of a viking’s ship. It is probably comparable to Stonehenge in a way, I didn’t dare ask, though, for fear of offending Vikings. 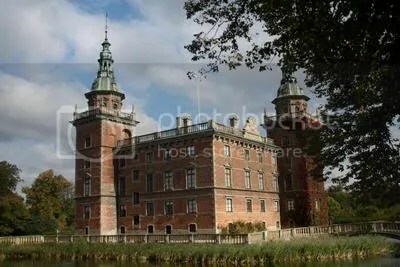 The roaring green hills of the inland is full of old castles and big mansions that sit in the midst of rich farmland and forests. Some of them, like Marsvinsholm, allow visitors to stride through their big parks, sculpture gardens, and orchards, and they even host summer festivals and concerts. A few natural reserves close to Ystad are also worth visiting. I have never seen more wild birds of prey than here.